In Mainz, all students are required to create their own timetable for each semester. This rule also applies to exchange students. Exchange student may attend courses offered by all subjects at the Johannes Gutenberg University in Mainz. If you need details on current courses, visit the Jogustine online portal. Simply click on the current semester, followed by Faculty 05 and then the subject you are interested in. Jogustine lists the course title and teacher, the description of topics/themes, the goals as well as all class dates. Most courses are scheduled for the entire semester and are held for two academic hours each week (SWS). Two academic hours per week means that the course is a total of 90 minutes long. The time required to prepare for the course depends on the type of course (lecture, seminar...). The more time-consuming a course is the more credit you will receive. However, we advise against enrolling in very difficult or time-consuming courses exclusively as they are associated with a high workload and extensive preparation time. In general, exchange students can register for courses in any subject, not only the subject associated with their academic exchange. Sometimes courses might be full which means that you cannot participate in that specific class. Lectures have no restrictions in terms of maximum number of participants. The international coordinators (in the right column) can help you choose the right courses during their Office hours. It is always a good idea to look for information yourself as well, and to bring timetable ideas with you to the meeting. You can also ask the respective course teacher(s) questions about content, level and additional details. The best way to contact teachers is by mail or during their office hours. PHILIS offers open office hours for all international students during induction week (the week prior to the beginning of the semester). We answer questions, provide information on offices and documents, and are there to support you on your path to a successful semester. The PHILIS office is in the Philosophicum, room number 00-224 (right next to the cafeteria). 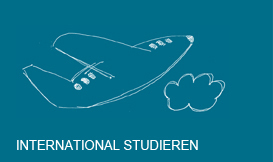 Further information on studying in Mainz can be found here. If you would like to be assigned a personal contact person for the entire semester, to answer questions about organization and degree programs and courses, all you need to do is come to the inForm tutorial! The international coordinators can help you decide which courses are the most suitable for you. You can and should bring some suggestions of your own to the meeting, ideally using the course registration form. The international coordinators will discuss your selection with you, and sign the form. Then, you have to take the form to the course/subject Studienbüro, e.g. if the German Department is the department responsible for offering the course, you have to take your form to the Studienbüro of the German Department.